Does Clever Lotto Really Work? Read Reviews! Clever Lotto allows individuals to play the German state lotteries via their Smartphone and to manage kiosk coupons. Are you one of those people who wake up and get a hold of their smartphone immediately? Do you hold your smartphone through the night, so it’s in your hand before you’ve even managed to wake up? If so, the app we will take a look at today is a great option for you. It is called Clever Lotto, it’s free of charge and it gives players access to all of Germany’s state lotteries (plus a few additional perks). What Is Clever Lotto and What Does It Do? Clever Lotto is an official app that allows players to test their luck at all of German’s state lotteries – Lotto, Keno, GlücksSpirale and a few others. What’s even more important, Clever Lotto makes it possible to get EuroMillions tickets via the phone and eventually claim the massive jackpot that this pan-European lottery is known for. The German Lottery Association is an official Clever Lotto partner, which means you can rest assured that the opportunity is legitimate and that you will be paid in the event of winning (more about that – later). Clever Lotto also allows for effortless result checking. Whether you have bought a ticket online or from a kiosk, you can instantly find out if you’ve managed to win anything. In the event of ticket buying from a kiosk, you will simply need to scan it in order to discover the latest results. 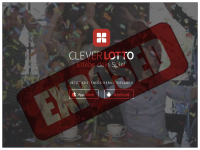 According to the official presentation, Clever Lotto is free for installation on both Android and iOS devices. The app developers also promise that users will not be swarmed with advertising, which is excellent! How Does Clever Lotto Work? Clever Lotto can be downloaded for free from the App Store or Google store. Once the process is completed, you will gain access to your master “command center,” from which you can participate in an array of German lotteries and check your results. Clever Lotto is partnered up with Lotto24 – this is the entity responsible for forwarding your ticket upon the purchase. The payment of prizes is guaranteed by the state and you will get the respective amount credited to your account. You will also gain access to an array of additional cool features. Clever Lotto, for example, features statistics about the numbers you play most often and whether these numbers have resulted in a prize. You can also scan tickets that you bought offline and you will get notifications based on your individual preferences. One thing worth mentioning about the app is that it comes with a clean, intuitive design. Setting up your account is an easy task. There is no need to worry about whether you’ve done things right. Every time you buy a ticket or you make an adjustment, an email confirmation will be sent to you. This way, you can rest assured that your lottery ticket has been bought and that you have a chance to become Germany’s next millionaire. Clever Lotto was launched six years ago and through time, the app has undergone a number of tweaks and upgrades. The addition of the scanner, for example is one of the newest features. Follow the app’s Android and App Store page to find out more about upcoming modifications. Just like other lottery apps, Clever Lotto is available for download by individuals aged 17 and older. There aren’t that many additional conditions that apply to downloading the app and making use of it. The official Clever Lotto website states that the personal information of users is protected. The privacy terms and conditions are pretty much standard. They state that such information is to be used for the provision of a better service and that it is not going to be shared with third parties. The same applies to financial interactions and the completion of payments through the mobile platform. You can rest assured that your sensitive data is safe and that your prizes will be credited directly and automatically to your account. Who Is Behind Clever Lotto? Currently, Clever Lotto is the largest lottery app in Germany. Over the six years of its existence, it was downloaded more than 1.5 million times. As already mentioned, this app has been developed through a cooperation with official state and lottery entities. According to the App Store presentation, Clever Lotto is in the portfolio of Formigas GmbH. This is a German mobile app development company that has a number of interesting developments in its portfolio – a Lotto Kit project for the effortless creation of new lotto apps and a number of branded projects created for the Formigas clients. 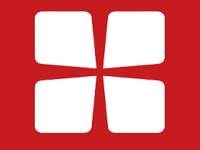 Formigas has been in business since 2010 and Clever Lotto was its very first project. Through the years, the portfolio of the innovative company expanded even further. Would you mind rating Clever Lotto? Do you like things that happen effortlessly and that revolve around the use of contemporary technologies? If so, Clever Lotto is the app for you. It gives you access to all of your favorite German lotteries, the payouts happen automatically and you will also gain access to interesting statistics about your lottery habits. One thing you should not expect from Clever Lotto is exclusive app perks. There are no additional games or little bonuses for the people that download the app. In this sense, Clever Lotto is somewhat different from the vast majority of other lottery/gaming apps we review here. Still, Clever Lotto is well executed, it is simple, practical and effective. Because of these characteristics, the prominent German lottery app deserves an 8 out of 10 stars rating.